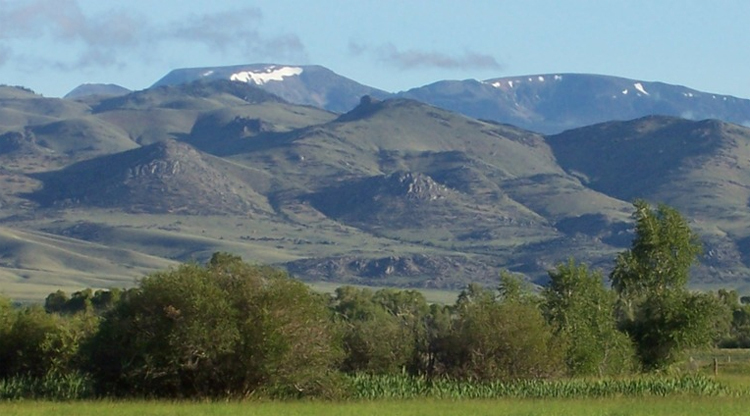 Tobacco Root Mountains, photo taken from near Twin Bridges, MT (source City-Data WWW). Late July and early August is a great time to vacation in Montana; plenty of Sun and warm weather with cool nights at high elevations. Our trip began in Missoula and included both Glacier and Yellowstone National Parks. We drove completely around the Tobacco Root Mountains as we went south from Ennis to Yellowstone Park and we returned north to Missoula via Gardiner and Bozeman. 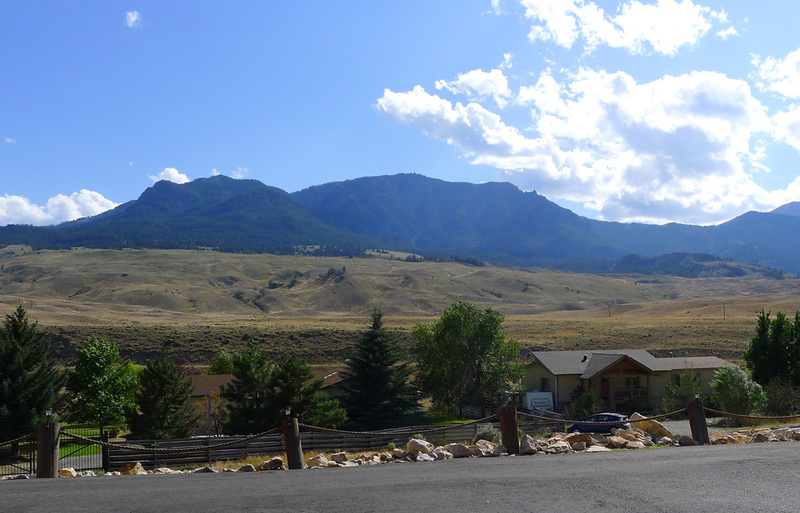 At the foot of the Tobacco Root Mountains, just west of Bozeman, lies the small town of Willow Springs. It’s a quiet town with a Methodist Church, a small café, and a very small high school. The town and its basketball team had a moment of fame when they became the focus of a best-selling novel. You can read my review of the novel on Carto’s library blog: The Championship Year—Good Summer Reading. Gardiner is another of the small towns on our route. It lies at the edge of Yellowstone Park and is just minutes from the park headquarters in Mammoth Hot Springs. Many park employees live in Gardiner — it’s a lively town. View of Yellowstone Park and Electric Mountain from our motel in Gardiner, Mt. The southern loop from Missoula to Yellowstone Park and back was just over 1000 miles; the northern loop through Glacier Park was about 500 miles. In all, we drove about 1500 miles. Montana is a big state with lots of open space; we traveled through the western third of the state where mountains prevail and driving means crossing back and forth over the continental divide. This entry was posted in Montana, Travel Blog and tagged Bozeman, Gardiner, Tobacco Root Mountains, Travel, Vacation, Yellowstone by carto. Bookmark the permalink. NICE TRIP throughout Big Sky Country!! !